Where to Find the Coolest Fashions: Private Trunk Shows • Max Blog • Max. your best interest. 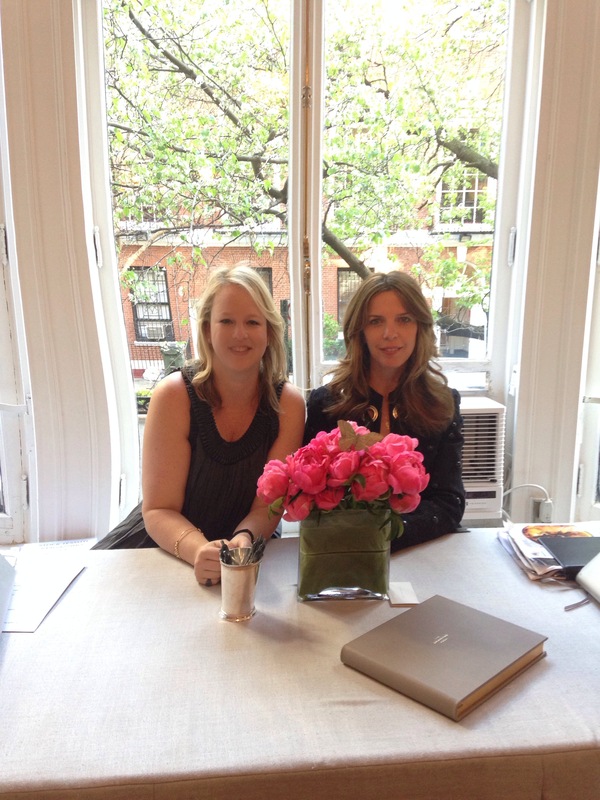 Candice Postel and Emilia Fanjul Pfeifler in their Drawing Room space. When a pair of veteran fashion publicists put together an intimate trunk-show space just off Madison Avenue on New York City’s Upper East Side, it’s not a surprise to find a selection of hard-to-find cult brands on view there. Old friends Candice Postel and Emilia Fanjul Pfeifler launched the Drawing Room earlier this year as a way to bring New Yorkers together with brands that don’t have a presence in the city. Some days there are shows, with chic neighborhood ladies browsing tall racks under sprays of flowers; other days the space is used for product launches or press events. Max Luxe spoke to Postel about the duo’s idea. -How did you both get involved with this business? We grew up together in Palm Beach, and always lived parallel professional lives. We both come from fashion public-relations backgrounds. I started at Salvatore Ferragamo many moons ago and Emilia at Bottega Veneta. From there, we both opened our own boutique agencies but motherhood called and we took time to raise our children. Now that they are a little older, we decided this was the right time to do something. We were hosting trunk shows out of Emilia’s home and decided to turn it into a business. 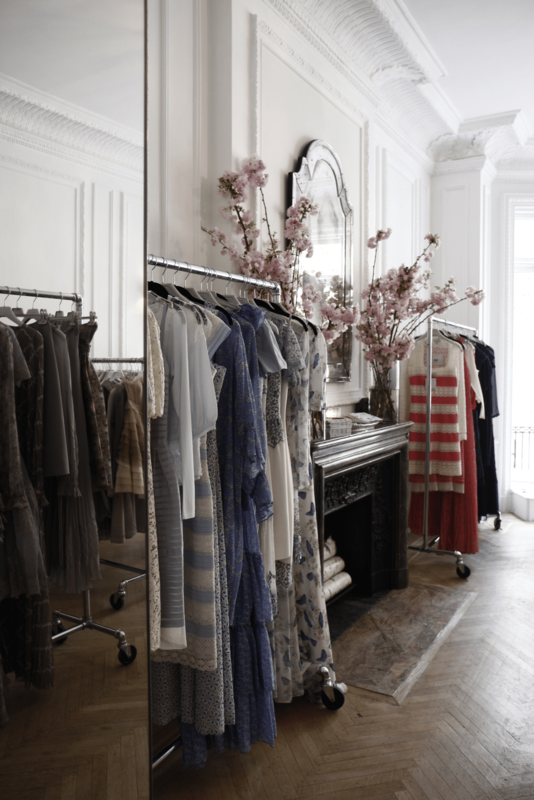 But The Drawing Room is so much more than just trunk shows. Brands have hosted their press previews here as well as launched products. The Drawing Room truly is a jewel box of a space! – When you’re running a trunk show, what is your typical day like? We both wake up super-early, get our kids ready for school and drop them off, then head to The Drawing Room. There are days that it is so busy that we look at each other at 5:00 and ask what is for lunch! A show at the Drawing Room. – What brands have you shown? Which ones are coming up? We try to have different kinds of brands and interesting companies all the time. For example, we did a Bespoke Week with Attolini custom women’s blazers, Devon Woodhill beautiful bespoke lockets, and Paul Renwick’s gorgeous cashmere, and we topped the show off with an amazing portrait painter, Rob Beckett. We did a week with Veronica Beard, where they designed six exclusive styles for The Drawing Room. Before everyone leaves for the winter holiday, we are doing a Basta Surf swimwear sale along with L’Etoile, a tennis and golf wear collection. – What are a few high-end fashion trends you’re seeing now? Investment pieces: an item that goes with several things in one’s closet. Not bling but something that compliments what you already have on. – What’s the one most important winter item women should buy? A fabulous coat makes a statement. The navy car coat from Veronica Beard is a no-brainer.